Happy clients and long client relationships are the best guarantee for the growth of a subcontracting machine shop. 90 percent of our manufacturing will go to export through our customers, which makes Stamac an international business. We are happy to be able to grow alongside our clients. We do our work with professionalism, competitiveness and reliability. We continuously update our machinery in accordance to recommendations from our clients. 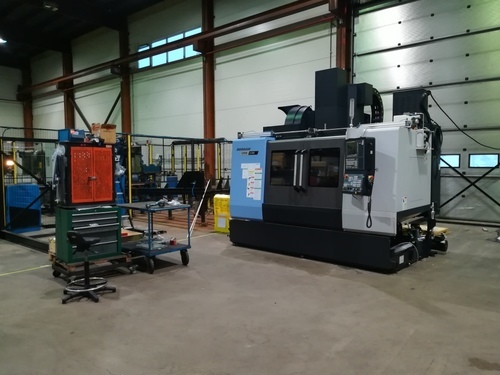 By investing in CNC machining and skills, our company has been able to create long-term client relationships as a subcontracting machine shop with several significant export businesses. The clients include many international transportation equipment and machine manufacturing industry that operate in Finland. Typically, the products they require are extremely detailed in measurements and require expertise to manufacture. We acquire raw materials for machining from Finland and abroad. Our high-quality raw materials and expert machining guarantee that our clients receive the custom products they ordered, always within the agreed schedules.